I’m really excited now! It was announced today that a sequel to Top Gun is in the works. Sounds like many of the original characters ( including Tom Cruise ) will be brought back in some limited roles. 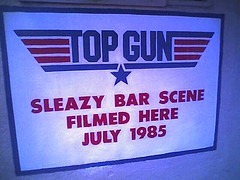 Top Gun is arguably one of the best fighter pilot movies made. Not so much for the story line, but the flying sequences filmed. No dates announced, but I’m sure looking forward to it!